Review | Car buyers are tempted by two things. Emotion says: buy the biggest, most beautiful and most exciting car available. The mind says: choose safety, go for green and think about the costs. When that new car has to be an SUV, these wishes are even more conflicting. Citroën now claims to have the answer in the shape of the C4 Aircross: a combination of Japanese technology and French elegance. First, an example of how not to do it. In 1984 the Alfa Romeo "Arna" was launched. This car was designed by Nissan and had Alfa Romeo technology under the bonnet. Had the roles been reversed, the Arna may have been a success. The combination of anonymous Japanese looks and unreliable Italian mechanics meant the Arna was short-lived. The Citroën C4 Aircross is driving proof of how to do it right. 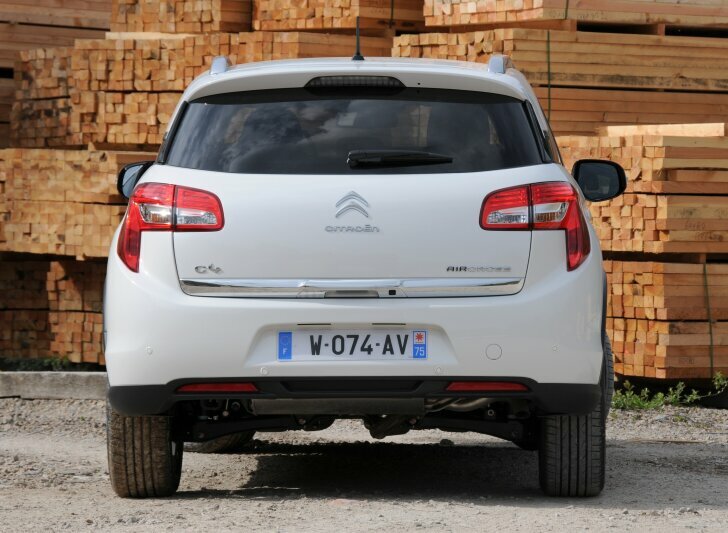 This compact SUV has been developed by Citroën in cooperation with Mitsubishi. Both companies share the sky high research and development costs, while adopting the resulting car to suit their unique audiences. Mitsubishi calls their version of this vehicle the "ASX" and has been very successful with it ever since the launch in 2010. From the start it was agreed that Mitsubishi was allowed to market the ASX first, to give the relatively small carmaker a head start. In the meantime Citroën used its time to fine tune their version of the vehicle. 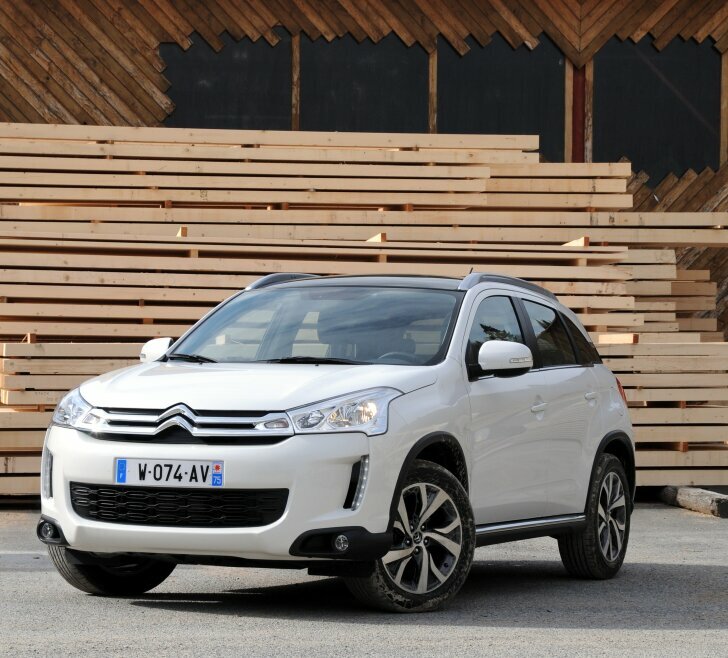 As far as Autozine is concerned this was time well spent: the C4 Aircross oozes as much "Citroën" as a model that has been solely developed in house. Not unimportant: Citroën found a balance between tough looks and elegance. Once inside, the differences between the Japanese and the French version are minor. Citroën decorates the more luxurious versions with some shiny black paint and chrome details. Still, the cabin is durable yet sterile no matter what the logo on the bonnet says. An SUV is chosen for the cabin space and in this respect the C4 Aircross disappoints. In absolute terms the Aircross is roomy. The space on the back seat is fine. The boot is of average size. The front seats pose a problem. When opting for electrically adjustable seats, they simply do not move far enough. Drivers as tall as 1.9 metres constantly scrape the ceiling. The manually adjustable seats move further, but introduce another problem: the passenger seat cannot be adjusted in height at all. Tall passengers yet again touch the roof and that's unacceptable for a bulky car like this. When it comes to luxury and safety, the C4 Aircross offers everything one comes to expect from a car in this price range. However, the C4 isn't particularly innovative or special. Only the optional audio system by "Rockford Fosgate" deserves a special notice: it has a musical, powerful and crystal clear sound without ever becoming tiresome. 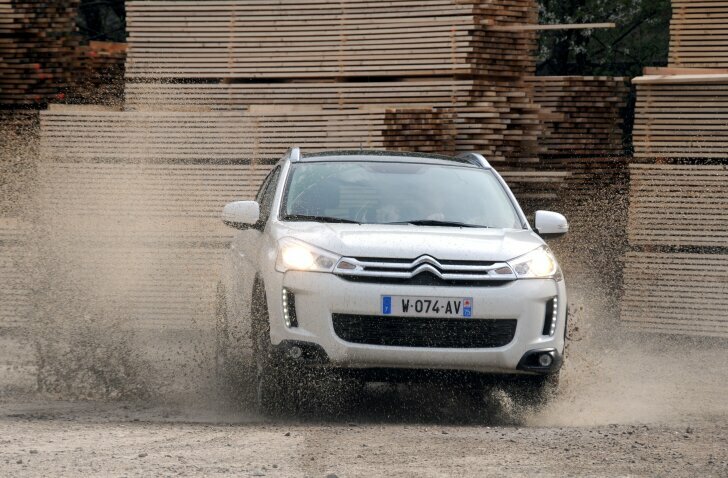 The C4 Aircross is available with one petrol and two diesel engines. The strongest of the two diesel engines (150 PS) is made by Mitsubishi. It is more than strong enough and turns the C4 Aircross into a powerful, almost mighty car. This performance comes at a price, the strongest diesel engine isn't exactly frugal. The alternative is a 115 PS / 270 Nm strong 1.6 litre diesel developed by Citroën. This power train is quiet, responsive and never lacks power in daily traffic. Although powerful enough, the "C4 Aircross 1.6 HDi" certainly isn't a fast car. Even though the clutch pedal, the driver feels that the engine is torque-strong from a low engine speed. This makes driving at low revs (and off-road) easy. A stop/start system, a gear shift indicator and a trip computer help the driver to improve fuel efficiency. This is why the C4 Aircross is much more frugal than its rivals, at least on paper. The two-wheel drive "1.6 HDi" tested here consumes an average of 4.6 litres per 100 km (61 mpg) according to Citroën. The test drive over a highly demanding route (mountains, city traffic and a lengthy photo stop) took 5.7 litres per 100 km (49 mpg). The C4 Aircross is available with two- and four-wheel drive. The latter offers the driver a choice between two-wheel drive, automatic four-wheel drive or permanent four-wheel drive. When engaging the permannet four-wheel drive the Aircross handles light terrain well, but still isn't a full blown off-roader. Despite its modest looks, do not expect a manouverable city car. The turning circle is huge, making the C4 Aircross handle like a big, friendly giant. The passengers are always aware that the Aircross is taller than the average car and the driver has an excellent view over traffic. The bonnet can be seen from the driver's seat, which makes for a nice reference point while parking. Roadholding strongly depends on the chosen version. The Japanese sibling has light and exact steering, while its firm suspension communicates very well with the driver. 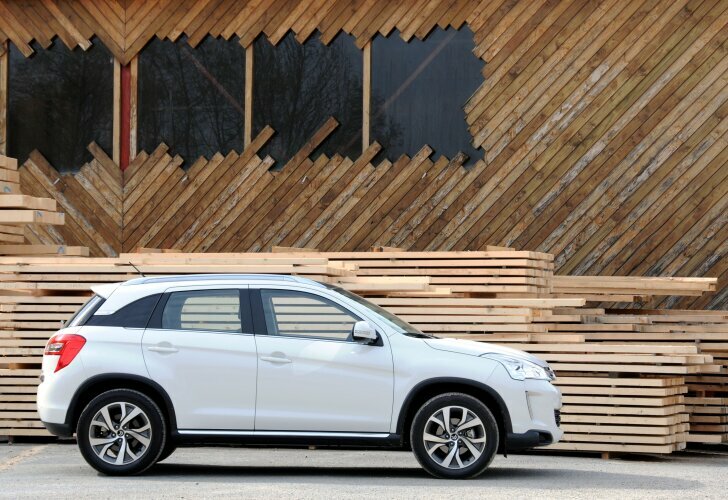 This gives the Mitsubishi a dynamic and agile character. The Citroën has heavier steering, but this doesn't give any more feedback. It does make it easier to drive straight on the open road. 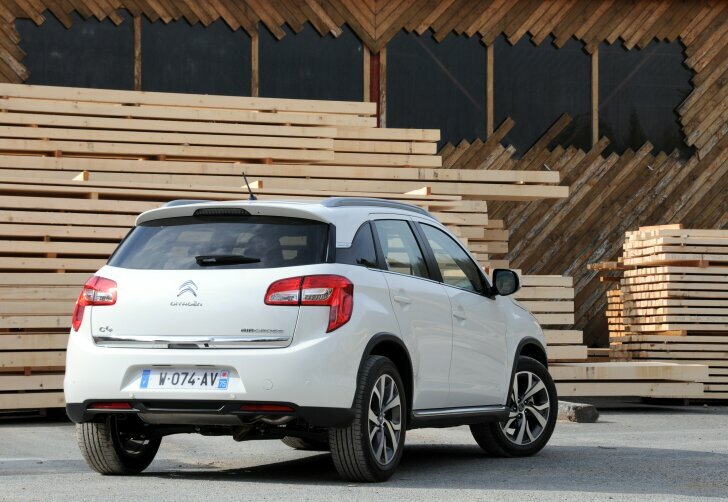 Therefore, the Citroën covers long distances with more ease than the Mitsubishi. 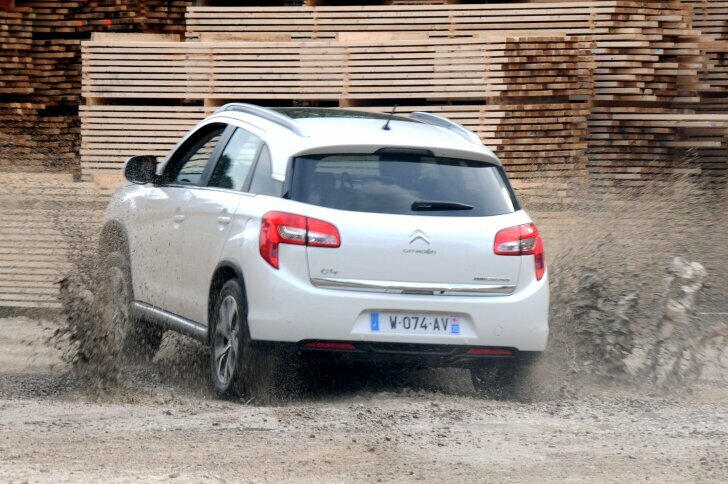 Handling is fine and despite its high centre of gravity, the C4 Aircross hardly tilts while cornering. When opting for 16 inch rims, the car comes with Yokohama tyres. The 18 inch version is fitted with Bridgestones. The latter give more feeling in the steering wheel and noticeably better grip. 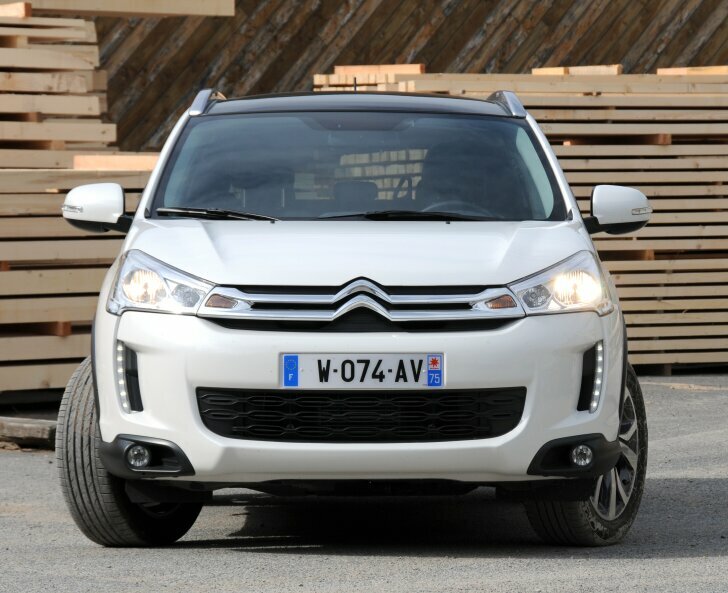 Did Citroën manage to make an SUV that one can choose both rationally and emotionally? Yes. However, the C4 Aircross isn't better than other new SUVs by other brands. The Japanese and Korean brands dominate this segment, thanks to their clever technology and competitive prices. The unique selling point of the C4 Aircross is its European look and charisma, which the Asians most certainly lack. Thanks to a strategic cooperation with Mitsubishi, the Citroën is still as strong, frugal and reliable as its rivals.